Jagged X is a family owned company based in Phoenix, Arizona. The company was founded in 2004 by brothers, Justin and Brandon Schueler. Their passion for off roading inspired them to create innovative products for many types of off road vehicles. With the exploding popularity of side by side / UTV type vehicles the team soon found their niche and began focusing on this new exciting segment of off road. With the rapid growth and popularity of the UTV market a new format of off road racing began to emerge and so Jagged X Racing was born. Soon the company began to shift its efforts with a larger emphasis on UTV racing and competition. 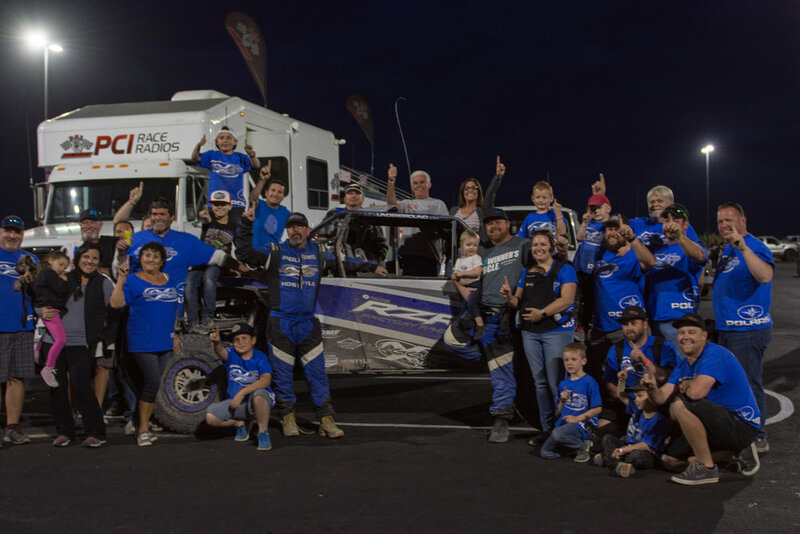 While UTV competition is popular in many venues from short course to mud racing the company’s roots in Arizona made long distance desert racing the perfect fit. Today Jagged X is one of the most recognized names in UTV Racing. The Team competes in the two largest desert racing series, Best in the Desert and SCORE International. Brandon Schueler has raced over 50,000 miles and collected dozens of class wins and numerous national championships. At their shop in North Phoenix the Jagged X crew builds and race preps all of their own vehicles as well as offering race prep and custom race builds for other racers. The team continues to explore new innovations and strives to encourage the growth of UTV racing and the entire UTV community. Brandon Schueler Is the driving force behind Jagged X Racing. Brandon was born in 1989 in Phoenix, AZ. He was raised in a family that enjoyed spending time outdoors. He spent countless weekends with his parents and his brother in the deserts and forests of Arizona, camping, fishing, hunting and off-roading. and form a business to compete in the expanding off road side by side market. Jagged Extreme was born! At that time Vehicles like the Yamaha Rhino were taking the off road world by storm and the Schueler boys were staking a claim in this market. Weekends and evenings were dedicated to custom fabrication projects, and days to school. Once Brandon completed High School he proceeded to pour all of his efforts into growing their custom off road vehicle business. By this time UTV racing began to appear on the scene. So in an effort to prove their products and promote their brand Jagged X began a racing tradition that has become the primary focus of Jagged X and Brandon’s livelihood. Brandon was married in 2013 to his wife Ashley who shares his love of the outdoors and for racing. I'm sure their sons Reid and Rhys will be strapping on helmets and hitting the trails as soon as they are able. When Brandon is not on the track he still loves to trail ride. He also loves spending time Camping, fishing and shooting or just about anything that lets him spend time with his family. Bill has spent his entire life in the State of Arizona, much of his time exploring the deserts, mountains and back roads. His passion for the outdoors and off road vehicles was naturally passed on to his boys. Bill encouraged and mentored the creation and the growth of Jagged X. Today Bill fills the role of Crew Chief for the racing program, handling much of the logistics and planning. He also runs one of the Chase support vehicles at races. Bill can still sometimes be found mounting tires in the shop or washing the cars after a race. The Jagged X race crew is a very fluid entity. The”core” is a group of dedicated, knowledgeable and passionate friends who lend their skills and their time to insure the success of the team. All our team mates are off road enthusiasts themselves who love and appreciate the sport of off road racing. The team can sometimes swell to as many as 20 people based on the length and complexity of a given race. Their dedication and enthusiasm is the key to the team’s success. We salute each and every one of them.